While Daleks terrify the show floor, Sith and Jedi duke it out with lightsabers while celebrities meet and greet their biggest fans. 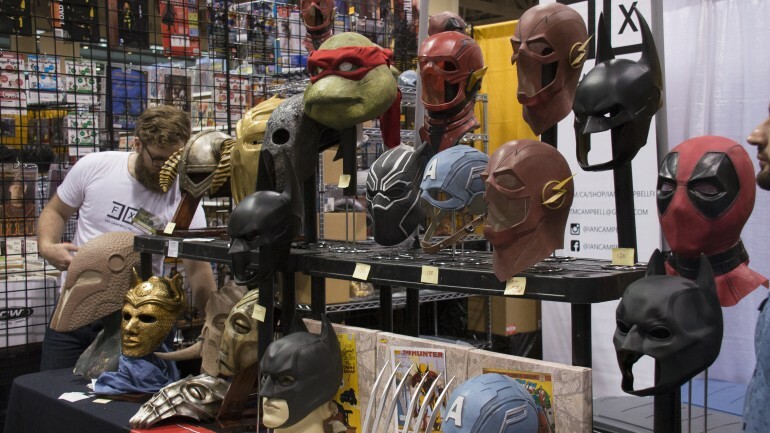 Children awe over cosplayers dressed as their favourite superheroes at Toronto Comic Con. One celebrity cosplayer was Holly Wolf, who cosplayed the character of X-Men member Jean Grey. She said she loved watching X-Men while growing up, and to be able to pay tribute to that big part of her childhood and own hero means the world to her. “I want to rewatch the series, because even now, if I think about it, I don’t remember too much of the episodes in general, but the basic, you now, feel of the show and what it means to me,” she said. Wolf has also cosplayed many video game characters. Recently, she dedicated 120 hours of her time to make the guardian armour from Legend of Zelda: Breath of the Wild. “It’s a full armour build,” she said. “Lots of sanding, painting, priming, and just design as well, because most cosplays you have to make from scratch. “There’s not a lot of patterns, templates that fit your body, even if there are some online, so that could take a while,” she said. Karli Woods, another celebrity cosplayer, also loves transforming into her childhood heroes through cosplay. She was Ariel from The Little Mermaid at the Comic Con. However, the art of becoming a superhero through cosplay is not so simple. 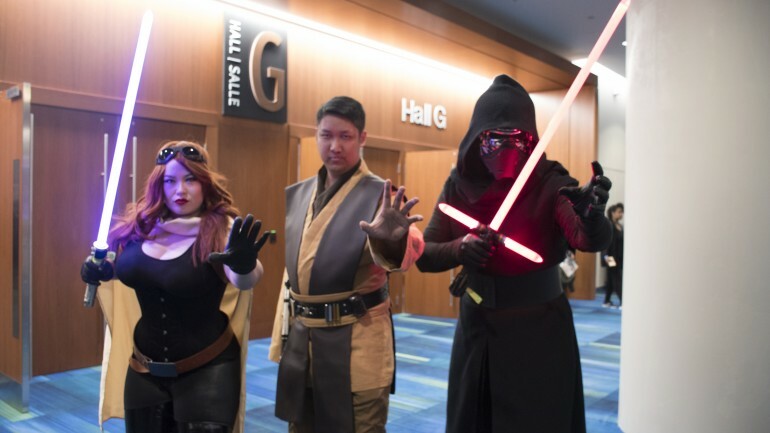 For Humber student Brandon Lo, there are body image issues that have to be overcome before getting started with cosplay in the first place. 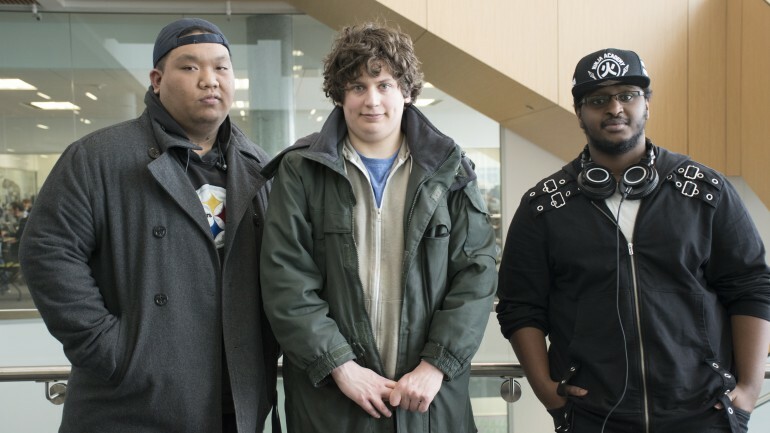 Oz Beyle, another Humber student, had a similar experience when first dabbling in cosplay, and found the path to become less self-conscious as a journey. It was the Humber community that helped them both gain confidence. A strong cosplay community comes hand-in-hand with an even stronger fanbase as well. Humber graduate Michael Cameron is known as Unorthodox Deisgn, and he won first place in New York Comic Con’s armour category for his Fallout orcish wasteland raider cosplay. “I think Humber has a very practical skills-based approach to industrial design,” he said. Star Wars cosplayer Daren Lai is another example. He went to last weekend’s Comic Con in his very first costume with the Rebel Legion. Alongside fellow cosplayers Michelle Benge and Jeremy Hall, he was able to wear a tailored Jedi outfit from The Old Republic with confidence. “For us the in the Rebel Legion and also the 501st, we strive towards screen accuracy,” Lai said. Unlike Lai, Aaron “Beamer” Beam from the 501st Legion, a fan-based group promoting the franchise through cosplay, has been getting into costume for about 12 years. He first heard about the legion online, then visited the costume reference library page, where it provided the requirements for building an accurate costume on par with the series. Through the 501st Legion community, he was able to create some of his best memories with a series he loved. “My favourite memory is the Star Wars celebration in 2015, and I got to have a photo with the Emperor — the actual Emperor — Ian. It just felt like it was out of the movie,” Beam said. Adriana Munoz and Brily Lepine from Ontario Ghostbusters have more than enough memories to share. The fan-based costuming group started off with the originals, but when the new Ghostbusters came out in 2016, it had an influx of new members, especially women and children. Stephen Quammie, who cosplayed as Erik Killmonger from the blockbuster film Black Panther, shared similar thoughts about getting into costuming for the sake of children as well. “My first cosplay was the Scarlet Spider,” he said. “I was supposed to go to Anime North with my nephew and I was like, ‘well, I need a costume,’ so I started with something that I like, which was the Scarlet Spider. “It’s also just a chance for me to do charity events and help out, and I’ve met a lot of people because of it,” Quammie said. Last year, he didn’t plan to attend Fan Expo, because of a rough week, however he showed up as the DC character Cyborg and made a child’s entire weekend. “And it just felt really good,” Quammie said. Being able to resonate with children adds to the building blocks of becoming not only a good cosplayer and actor, but a superhero role model as well. John Wesley Shipp, who played the lead character in the television series The Flash in 1990 and 1991, likes to take a moment that most resonates with him in order to get into character. “And then you build out from that moment,” he said. Shipp also played the character Henry Allen in the Justice League movie, father to the Flash played by actor Grant Gustin in the current television series. 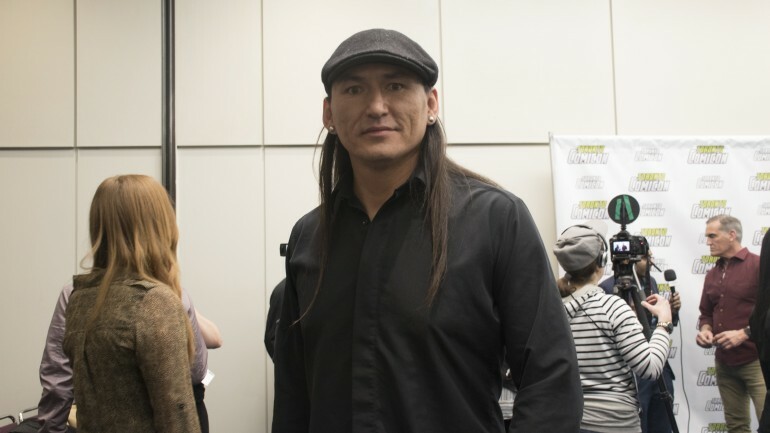 Eugene Brave Rock said being able to customize an outfit for his character Chief in Wonder Woman was also about representing and being respectful his people. “I think, you know, being in the business, the opportunity has never really been there for me,” he said. “I think directors and producers and writers, they have this story in their head before it ever comes out on camera, and it’s their perspective of the Indigenous community or Indigenous man. “So it’s to be able to share my own thoughts, my own issues, and my ownways, my own language — it’s wonderful,” said Brave Rock, who grew up in Kainai Nation, southwest of Lethbridge, Alta. He was invited home shortly after Wonder Woman was released and was given an authentic, full-feathered head dress. “That’s the biggest honour I could receive,” Brave Rock said. “I think that’s my core audience — it’s my people, where I come from and to share the power of believing in your dreams, and to have that full revolution of me being that little kid, seeing a Native American on television and saying, ‘hey, that — someday that’s going to be me,” and you know what? Now, that’s me,” he said. EDITORIAL: Is TTC proposed 70$ student pass worth it for Humber students?